Product SKU: The product SKU typically corresponds to a manufacturer’s part number. The SKU has the form factor and high-level specifications of the product. For example, with a PV module, the SKU includes the dimensions and weight, and the overall STC values of voltage & current. Characterization: The characterization is the math behind the module or inverter. The characterization defines the exact physics of the object. 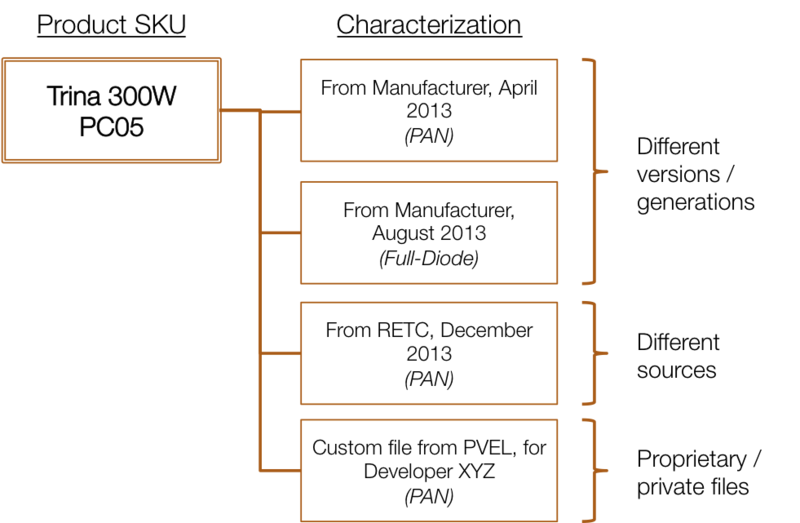 For example, a PAN file is one example of a characterization for a PV module. In the Designer of HelioScope, the user generates a system design by defining SKUs for modules and inverters. 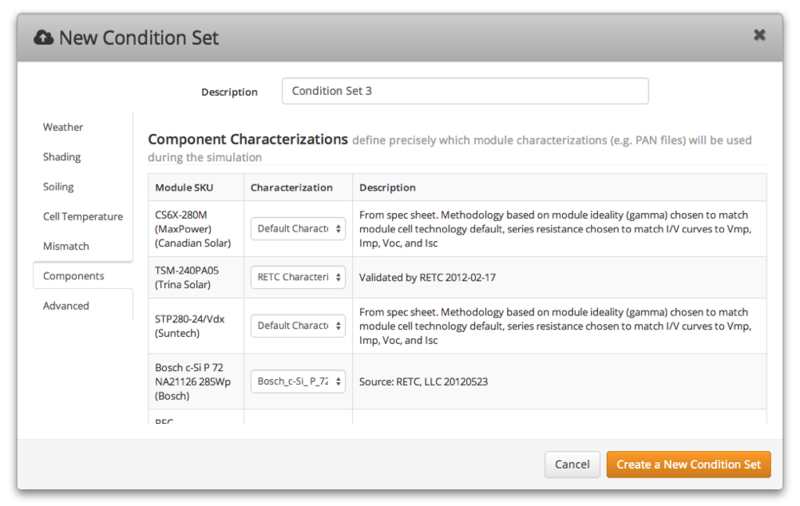 Then separately, as part of the Condition Set, the Characterizations for each SKU are selected (or default values are used). 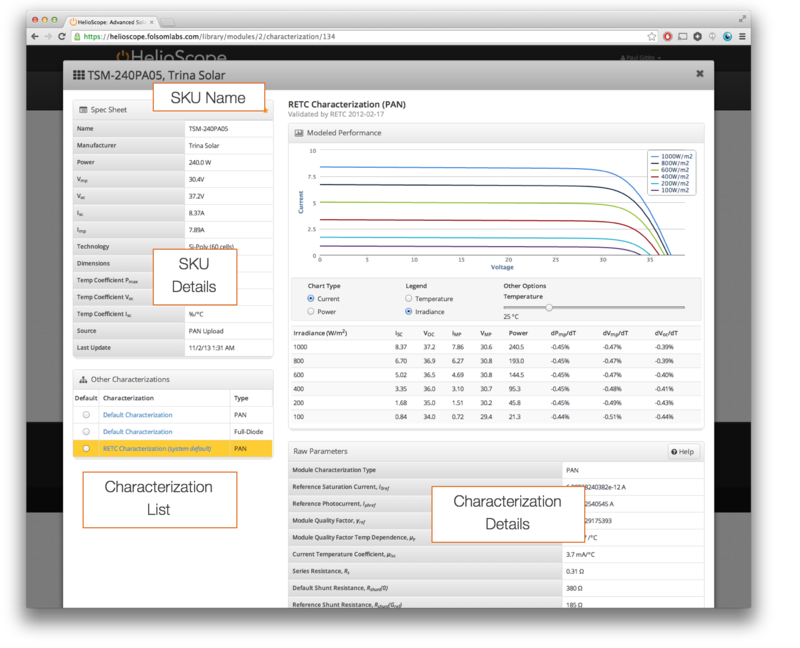 This screenshot from the HelioScope module database illustrates the relationship between a SKU and its three Characterizations.